Being able to offer financing to a larger group of small and medium-sized companies through our partnership with Mr Shoebox is highly positive. It is also particularly gratifying to be able to establish a business relationship with one of the fintech companies in whom we have invested through Collector Ventures. Lena Apler, acting CEO at Collector. Maria has the perfect background for a growing company like Collector, with a proven high work capacity and understanding of the digital arena. We wish Maria warmly welcome. Maria will join the company in September and will work in parallel with the current CFO, Pia-Lena Olofsson, who will be leaving in mid-October after the Q3 report is released. It feels extremely good to have found a CEO like Liza! She combines a strong entrepreneurial drive with the experience, skills and understanding of banking operations and regulatory frameworks that surround those operations. In previous assignments, including as CEO of software company Emric, Skandiamäklarna and Danske Bank’s mortgage institute, she has demonstrated a strong capacity to successfully drive growth and change. Liza is a dream recruitment who will lead Collector with continued development and growth as the principal objectives. When I received the offer to become CEO of one of Sweden’s most exciting companies, the obvious response was yes, even though my current job is very stimulating. Taking over the leadership of such a successful company, which is also the leading digital niche bank, is irresistible. I am impressed by what has been achieved to date and will give my all to continue the success story in the same positive spirit. Our bank app is intended to work as an assistant, helping to manage your finances in an easy and pleasurable way. This is our 17th annual report with uninterrupted growth and profitability, which feels great! Accordingly, 2016 was a normal year for Collector. Much remains to be done, so we will be working to maintain this trend over the years ahead. A natural short-term solution until a new CEO can be appointed. As founder, former CEO, and now Chairman, I know the company inside-out and consider it imperative to drive development and growth with the same success and high tempo that is characteristic of Collector. Year after year, quarter after quarter, Collector has broken new records. This demonstrates that the business model is stable and not exposed to temporary fluctuations. Nordkap is another example of how a cloud-based service can simplify the management of a large amount of data and complex material. Nordkap has found a niche with enormous global growth potential. Collector Bank will now apply the Nordkap solution to its own operations, which we look forward to using to further facilitate and refine our debt management. Nordkap is proud to work with Collector Bank and sees great potential in the collaboration. Collector is a modern bank that shares our thinking on how a treasury platform should be designed for the future. Nordkap is in a phase of expansion, and a partner such as Collector feels right at this stage. We consider the continued investment to be extremely interesting because of the unique position that Nordkap has attained as a treasury system primarily for real estate companies and tenant-owner housing associations. The position has been built up in a short time and the value it delivers to its customers is substantial. The continued internationalization of Nordkap and expansion of products make it a strong contender in the established banking sector. Office Depot’s European operations have been acquired by Aurelius, the German private equity firm that acquired Valora a year ago. Valora then became Collector’s foremost factoring customer. Aurelius is again relying on us for their financing, and we view this as recognition of the fact that also customers with operations outside Sweden appreciate our skills and our ability to adapt to our customers’ needs. We have collaborated with Collector Bank for nearly two years, and their B2B solution makes it easy for us to adapt to our customers’ needs of flexibility and speedy payments. The ability to offer payments in instalments is crucial to our business. It has resulted in increased sales, higher average sales and more satisfied customers. Purchasing within the B2B sector is undergoing considerable change at the moment, and the interest in digital payment solutions for B2B commerce has increased substantially over the past year. Through our digital services, we want to become the natural choice for all companies who have digitized, or will digitize, their sales to other companies. Going from Mid Cap to Large Cap in just over a year, that's almost unheard of. Collector is a digital niche bank with major growth ambitions. The market seems to have understood our business model and its potential. As a result, our valuation has nearly doubled since the IPO. We can only promise to do our utmost to continue delivering growth. Banks and investment advisers have not adapted their business and advisory models to new products and technology. Customers pay high fees but miss out on the return. We offer a transparent and independent investment service, focusing on low fees and high availability. Aided by Collector Ventures’ investment, BetterWealth will launch its services in 2017. We have worked for a long time on the development of automated accounting, and we now have a fully functioning product in the market. It means a lot to us to get Ernström & C:o and Collector Ventures as new shareholders. Not only will the additional capital speed up our efforts; we will also get new shareholders who believe in us and our work. We are incredibly happy about it! Both companies, BetterWealth and Wint, have developed digital products that simplify their customers’ operations and reduce costs. That’s exactly what we think digitization should achieve. The partnership with Wrapp is exactly what we want to accomplish, an offering that adds value for both merchants and customers, as well as a better overview. This is an example of a partnership in an ecosystem where we collaborate with external partners who bring new expertise and technology. It is a natural choice that a digital niche bank like Collector will be offering its cardholders cashback opportunities on purchases paid by cards connected to Wrapp and this is in line with its approach of working actively with customer loyalty as one of its driving forces. Implementing a major and complex business with an international operator like Rossignol provides evidence that our product and expertise in export factoring have had an impact. In addition to liquidity and intelligence, we are able to contribute speed, flexibility and a strong support system in this context. While we will continue to develop/strengthen our relationship with our historical financing partners for specific needs such as Capex, internal & external growth, this agreement will bring us efficiency and simplicity in providing the working capital financing related to our highly seasonal operations. We believe this is an important milestone on our route to success. Matspar.se has entered a market where we intend to change Swedes’ food shopping behaviour. To succeed in such a venture, it is important to be backed by players with their own experience of being disruptive. Collector has demonstrated clearly how a modern bank is operated and those skills will be highly valuable to us. Far too many business owners find administration and financing challenges to be their main obstacle to growth. Together with Collector’s bank offering, technical expertise and entrepreneurial driving forces, we can dramatically increase our opportunities to contribute, offering Swedish and European business owners services that truly facilitate the path to success. The investments in Matspar.se and Mr. Shoebox are, each of them, important pieces of the puzzle in Collector’s continued development as a leading digital niche bank in the Nordic region. Ideas and platforms can broaden Collector’s offering, while Collector can offer the companies a favourable environment for continued development with high degree of expertise in technology and digitization. They also gain access to senior advisors within Collector and NFT Ventures and, not least, a large network. We are proud to present a new digital product for the business market where there is less pressure for exciting new digital solutions to ease businesses’ day-to-day operations. 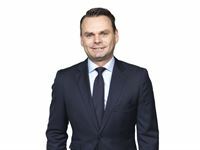 Stefan has been with the company for nearly 12 years of uninterrupted growth in various roles as IT Manager, CFO, Executive Vice President and CEO. It has been a pleasure to develop the company together with Stefan. Our shared view on the importance of a good corporate culture and entrepreneurship coupled with structure, has enabled unprecedented quality growth and performance. Leading a growing company is extremely stimulating, but also demanding. I fully respect Stefan’s view that the time has come to hand over to the next leader. We expect to have a replacement in place in the spring of 2017. Having, during my nearly 12 years as CEO, contributed to Collector’s more that 15-fold growth and, among other things, secured a bank licence, completed an IPO and transformed the company into the Nordic region’s leading digital niche bank, the time has now come for new challenges. We are delighted to see that Collector’s strong growth continues. As previously communicated, we are now strengthening our capital base in order to enable our growth journey to continue. Our vision for Glamma is to build a significant marketplace, but also to help the segment develop technically. We are helping an otherwise analogue sector develop its business by meeting customers where they are. With its innovative culture and knowledge of transaction-intensive businesses, Collector constitutes a strong and suitable partner in further developing Glamma. We’re delighted to be working with Collector to expand our vision for fair, accurate and accessible credit. It has been clear from our very first conversations that Collector understand our market and have the requisite experience to support us on our journey. Combining a strong lineage in retail banking with an already prospering portfolio, we believe Collector provides the optimal platform for us to expand our proposition across Europe and the rest of the world. The investments in Glamma and Credit Kudos provide further proof that Collector is at the forefront, leading the transformation of the financial sector. It feels extremely fun and exciting to come to a company like Collector. As HR Director, it is particularly stimulating to see the value terms “entrepreneurship, commitment and ethics” are not just fine words on a piece of paper, but actually something that can be seen and felt from the first day you step into the office. I look forward to contributing at all levels to Collector continuing to be a leading-edge employer. Collector’s continued clear objective is to be one of Sweden’s most attractive and modern workplaces. With her business-driven HR mindset, Sandra provides favourable conditions for continuing that drive. We have a very good foundation to build on with a strong and innovative owner, a very good customer base and skilled employees. Personally, I bring the capacity to see how IT can contribute to effective and sophisticated solutions for our operations and that thus provide considerable value for our customers without removing the personal element in our contacts. We are very pleased to have recruited Susanne Bruce to head our contract collection operations. We have very high ambitions for Colligent and, with Susanne at the helm, we will be able to accelerate our growth, which is pervaded by innovation and quality. The ability to offer our customers and guests a smooth invoicing solution as a supplement to card payments feels both natural and great. This has been requested for a long time, and we look forward with confidence to our cooperation with Collector. We are pleased that Coop’s online customers will soon be able to choose invoicing as their payment solution, and we look forward to a fruitful partnership with Collector. Collector has been entrusted to work with yet another major retail player, which pleases us immensely. Our solution allows the customer to replace several suppliers of payment solutions with a single comprehensive solution. 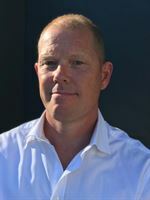 Stefan Alexandersson, CEO of Collector. This is yet another way for Collector to evolve into the leading digital niche bank in the Nordic region. By taking on ownership and participating in the development of new FinTech companies, we increase our ability to offer our customers the best and most cutting-edge solutions. NFT creates the conditions needed for Collector to invest in documented and evaluated FinTech companies and develop our own products. At NFT, we view Collector as a very exciting and inspiring partner. Collector has taken up a clear position as a leader within digital innovation, seeing the growth opportunities within the next generation of bank services. Together, we create the right conditions for identifying and developing new and exciting FinTech companies in Northern Europe. The most important things we achieved in 2015 were primarily the banking license and the stock exchange listing. The stock exchange listing was perhaps particularly important for us, since it has given us a completely different level of recognition in the market. I am extremely pleased and proud to be entrusted with being part of Collector’s Board of Directors. Collector is a unique, well-positioned company in an area with great potential for development over the next few years. I look forward to being part of the leading digital niche bank in the Nordic region. Collector enters 2016 at high speed on all levels. In conjunction with the excellent performance of real estate credits in Sweden, this will strengthen our Nordic business.